CES 2016 coverage by Computer Studio | Business IT service by Computer Studio Inc.
Computer Studio covers the 2016 Consumer Electronics Show in Las Vegas, Nevada. 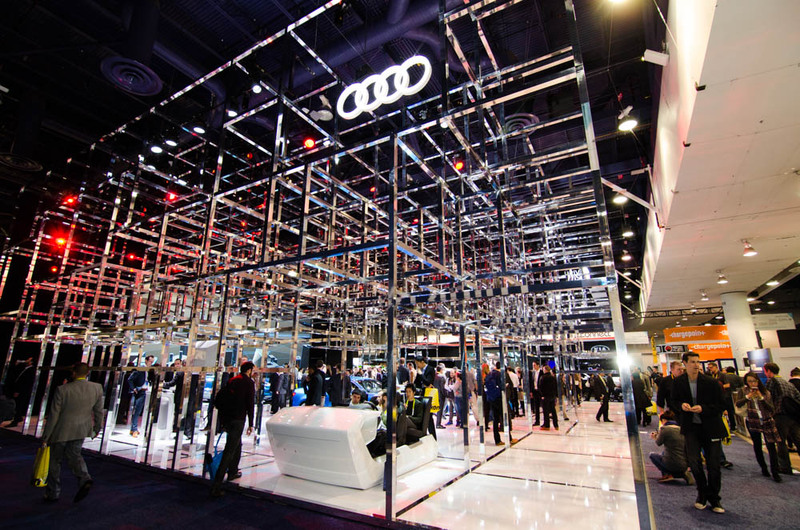 Showing the latest technology and exhibits at CES 2016. This Year the event shows virtual reality entering the market space. Car automation and in car technology emerging to bring mobile technology to our everyday commute. Drones show maturity and further accessibility for non technical users. We are excited to see these technologies showcased in the hands of the end users! Parrot booth CES 2016 – Parrot returns with hive technology and dancing drones display. InWin booth CES 2016 – Showcasing the “H-Tower” PC chassis one button automatic hardware access. Intel booth CES 2016 – Intel showcases motion gesture technology, clear glass monitor and Intel equipped laptops in a “one man band” musical performance. Samsung booth CES 2016 – Mechanical wall showcasing multi monitors working together. Samsung booth CES 2016 – Showcasing a massive array of curved monitors working to display the same image. BMW booth CES 2016 – Test drive showcasing i8 “sport mode” acceleration.